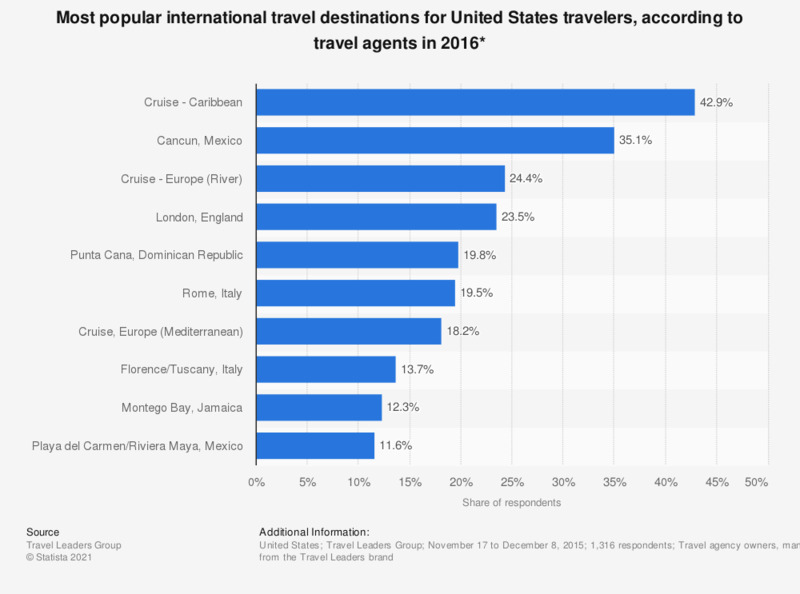 This statistic shows the most popular international travel destinations for United States travelers according to Travel Leaders Group as of December 2015. During the survey, 42.9 percent of respondents cited Cruise - Caribbean as a popular international destination for U.S. travelers in 2016. * Based on actual bookings for 2016 as of December 2015. Agents were asked to name up to five destinations they were booking for most for 2016.